If you have an obsession with list making and crossing off to-do’s, or know someone who does, there’s a good chance you’re going to relate to these top ten signs you might have a planner addiction! I have had a planner addiction for as long as I can remember. As much as I love technology and digital organization, I’m unable to let go of a paper day planner. In addition to a day planner, I keep a notebook of one printable planning page for each month of birthdays and activities that pretty much stay the same from year to year. Please join me and my fellow planner nerd friends in the name of fun for the top signs that you might have a planner obsession! 10. You spend more time choosing a planner than a name for your children. Planner addicts are always looking for the “perfect planner.” The problem is that every planner has different and unique features. We will spend time reading through reviews and trying to find a planner that is “the one.” This usually starts over with each upcoming year even if you’ve decided on the same planner for the last several years. The perfect planner search is just part of the obsession fun! Even better when you have a friend who shares the same passion for planners. The two of you can chat at length about your top choices. 9. When it’s time to leave, you look for your planner before your purse. Planner addicts do not leave home without their planner, ever! On occasion, I have left my planner at home a few times by mistake. I have called my husband and asked him to send me a picture of that day’s calendar spread! One of my fellow planner addict friends puts her contact information in the front with a note that says “reward if found and returned.” That’s some planner devotion for sure! I think that planner addicts will agree that there’s a feeling of purpose and direction that comes with always having a planner in hand. That’s why we don’t leave home without it! 8. You will write on toilet paper before using the wrong ink pen in your planner. Only special types of ink pens are allowed in a planner addict’s planner. Some planners prefer only pencil. We take care to keep our planners free of ink that bleeds through the pages or smears our to-do’s. 7. You speak another language that only other planner addicts can understand. Lily Pulitzer vs. Erin Condren. Filofax leather Malden Pocket Organizer… Fuchsia or Kingfisher? Arc or Levenger? Favorites that do not bleed through Filofax are Staedtlers, Coletos, FriXions & Inkjoys. Translation: Do you like this planner or that planner? In this particular planner, do you like this color or that one? Which brand? My favorite pens that do not bleed through special paper are these. Yep, there is a whole world out there speaking a language that only other planner addicts can understand! 6. You post pics of your children planner spreads on Facebook or Instagram. 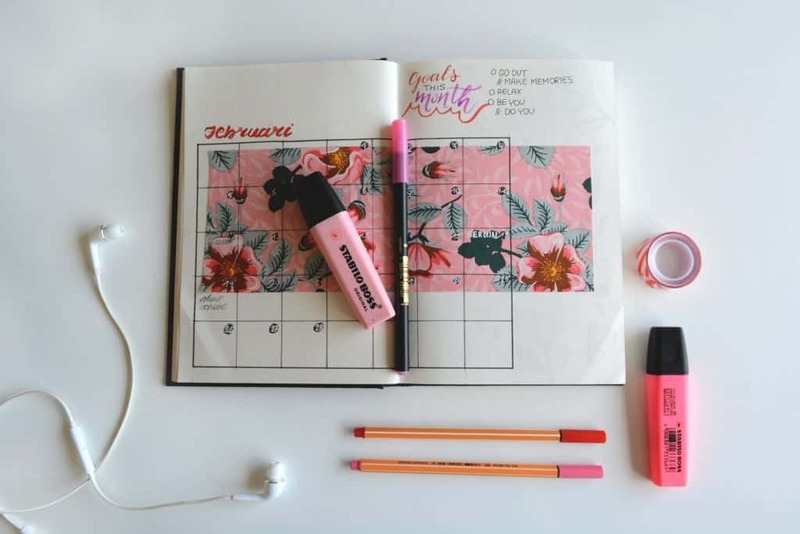 Did you know there are Facebook groups and Instagram pages devoted to planner addicts? Instead of a picture of what’s for dinner, they share their day to day dashboards and dividers. And planner addicts unite to ooohhhh and ahhhhh and ask, where did you get (planner, washi tape, sticker, pen…). Image above & article about color coding planners from Laura at iheartPlanners. We collaborate on a Pinterest group board that you can follow here. 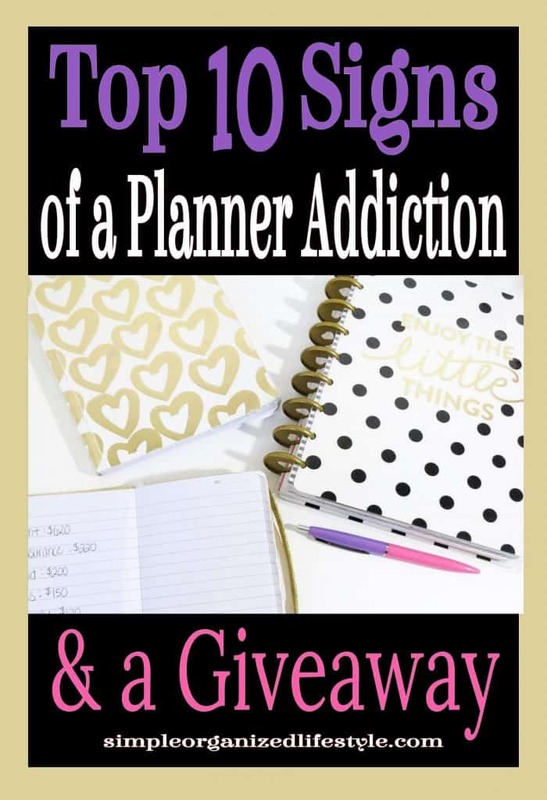 She’s a great resource for you or your planner addict friends! 5. You sometimes cheat on your planner. It happens. You started out with one planner, but something wasn’t quite right. You started exploring other options and something better caught your eye. Before you know it, it’s another planner OFD (out for delivery). 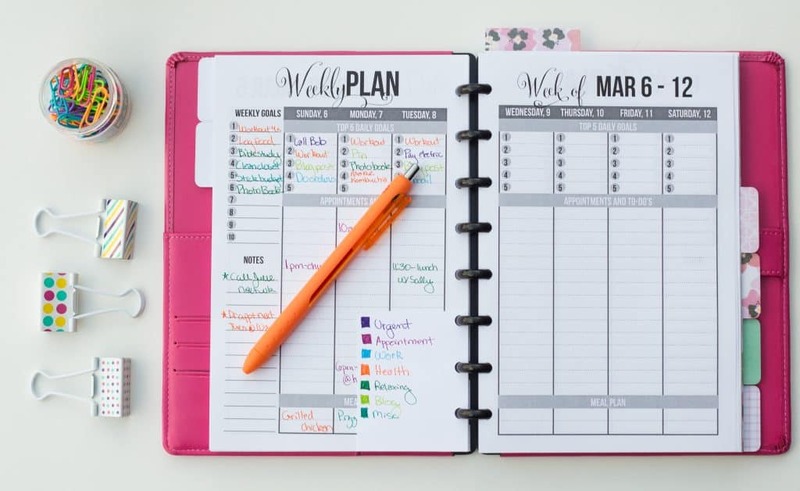 Most planner addicts have cheated on their planner of choice at least once… sometimes several times. 4. 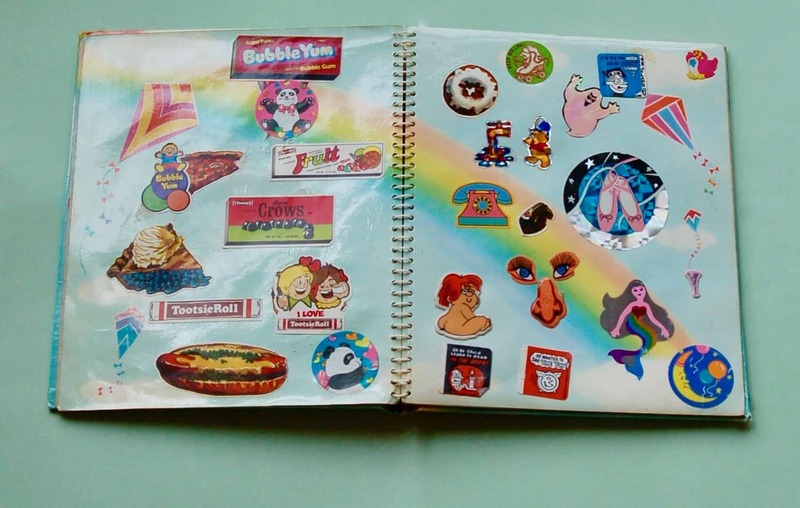 You had a sticker book as a child. Planners give your grown up self a legitimate reason to buy stickers again. Functional stickers are fun and a planner is a great place for them! You can simplify the planning process by quickly using a sticker instead of a note to document fitness goals, appointments or even the weather! Tip: Check the calendars in the Target Dollar section- they often come with sheets of great stickers! 3. You dream about Coleto pens and washi tape. You’re at a flea market and come across your favorite Coleto Pens for sale. 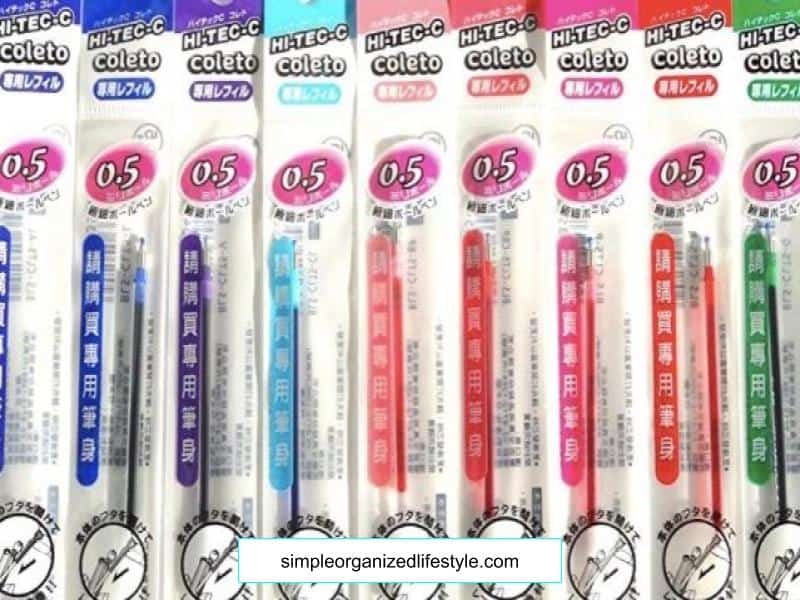 They have coleto pen refills in all colors and sizes. Next to them, are rows of washi tape in everything from floral washi to camo washi. All are at a fraction of retail price. 2. You have an occasional case of planner envy. The first time I saw a Levenger in action at a conference, I probably scared the lady who owned it by asking so many questions! But it was the first time that I had seen a system where you could take the pages out and put them back without having to open and close the typical binder rings. I was drawn in like a moth to a flame and I had a case of planner envy! I ended up with the Levenger system for an anniversary present and use it for work note-taking instead of a daily planner. It’s great for that purpose and I get lots of questions about it from fellow planner addicts! 1. Your planner has a name. If your planner has a name, then you truly might have a planner addiction.